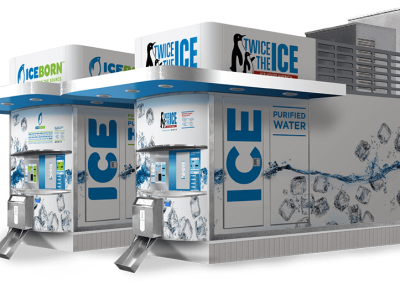 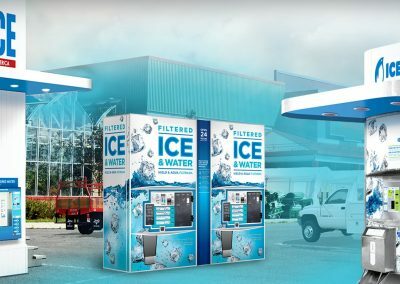 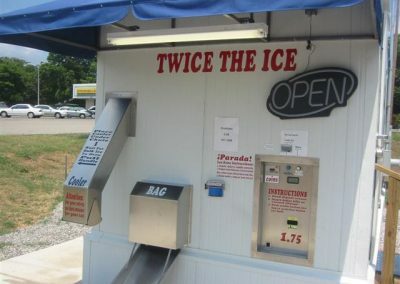 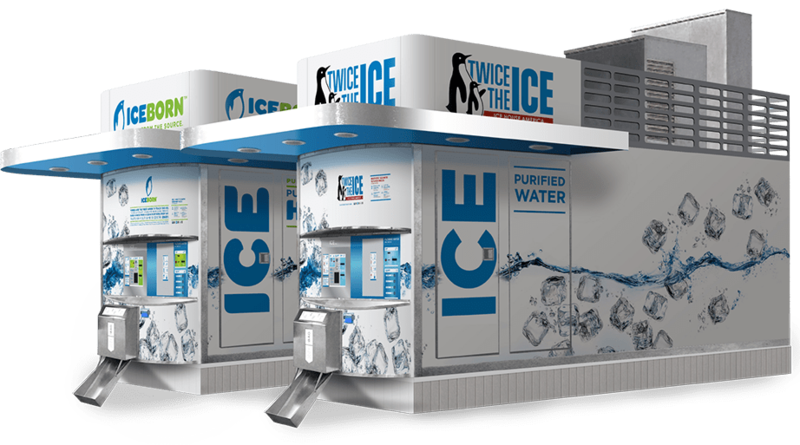 Twice The Ice At A Better Price! 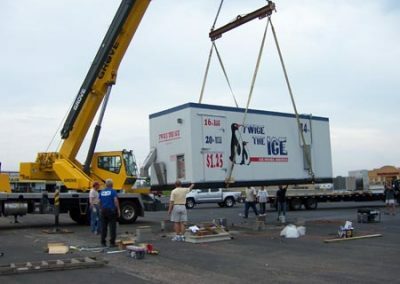 Well, that system is now a thing of the past, thanks to a revolutionary machine called an Ice House, manufactured by Ice House America, LLC of Moultrie, Georgia. An Ice House is a PATENTED (U.S. Patent No. 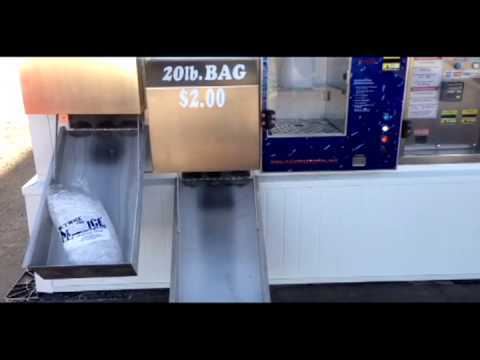 6932124 and U.S. Patent No. 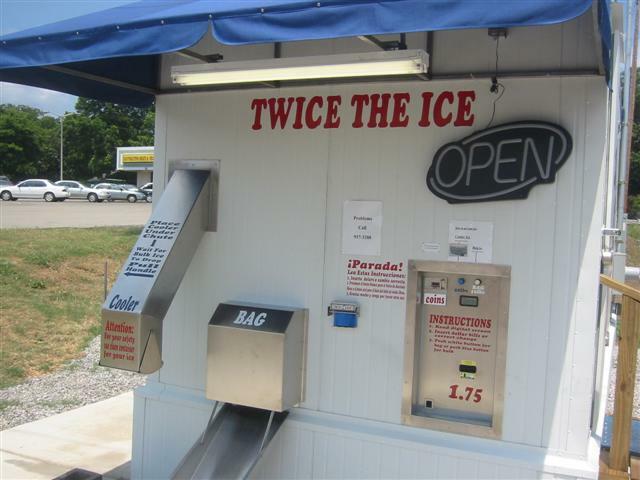 7104291) machine that provides a cost-effective way to deliver ice to consumers, utilizing a vending concept. 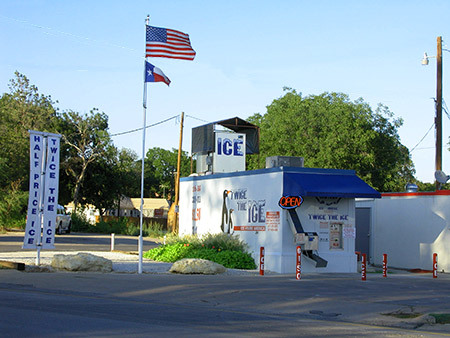 It offers the consumer a high quality, competitively priced, convenient source for chopped ice in bulk (20 lbs.) or bag (16 lbs.). 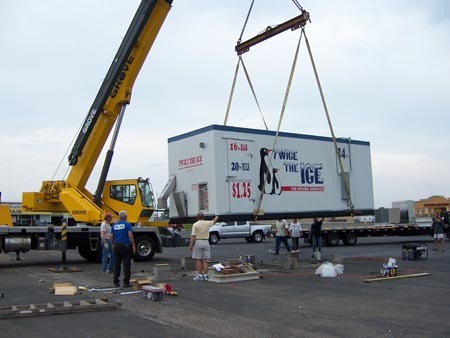 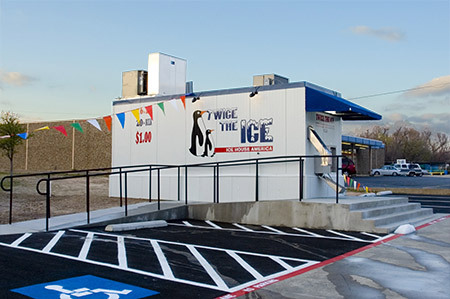 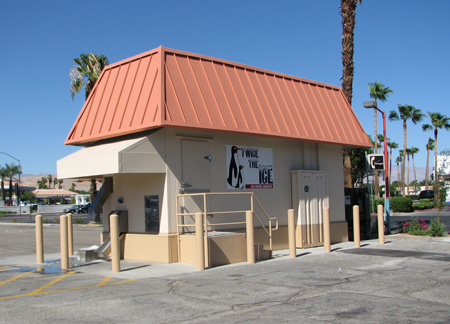 An Ice House is a stand-alone building (200 square feet – 8’x 24’x 9’) that may be installed on any site that has potable water, three-phase electricity, and is accessible. 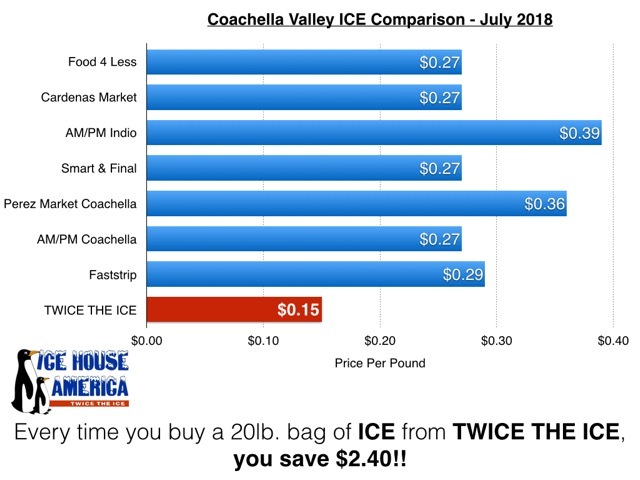 Check Out Our Graph Below To See How We Compare To The Competition And How Much Your Customers Can Save! 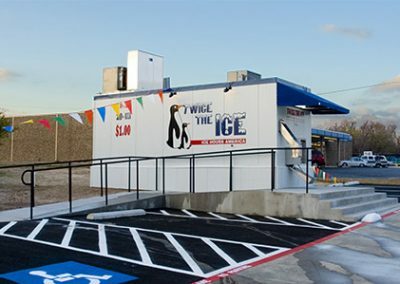 Inland Ice is cooling down Riverside County, California, where, depending on the area, daytime temperatures can exceed 100 degrees for over 100 days per year. The county is mostly low and high desert, and is located in the southeastern part of California, stretching from Orange County to the Colorado River, which comprises the border with Arizona.